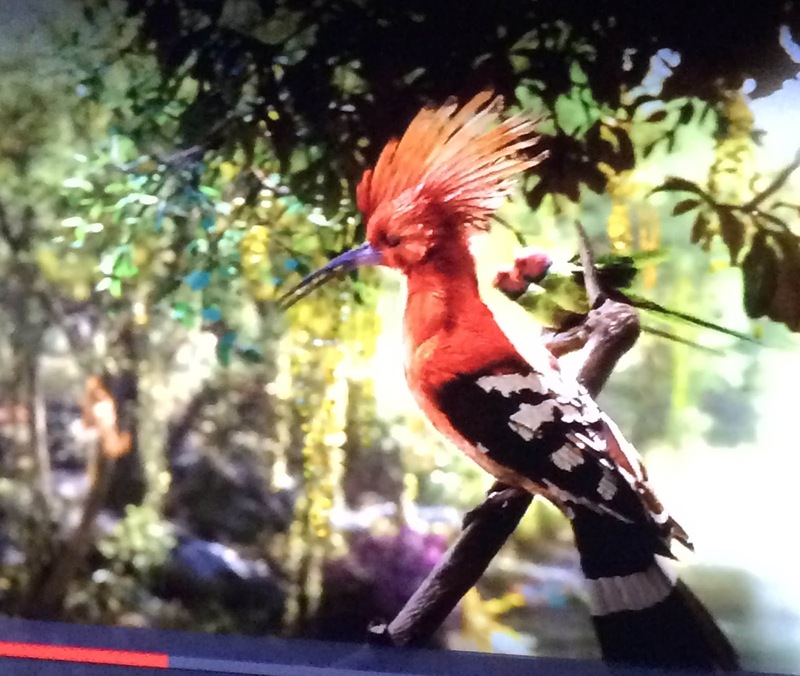 Sorry for a bit of blur but you can only imagine my excitement at the hoopoe sighting while watching the Jungle Book movie! I ran to grab my phone and obviously couldn't hold my hands still. But isn't it great! 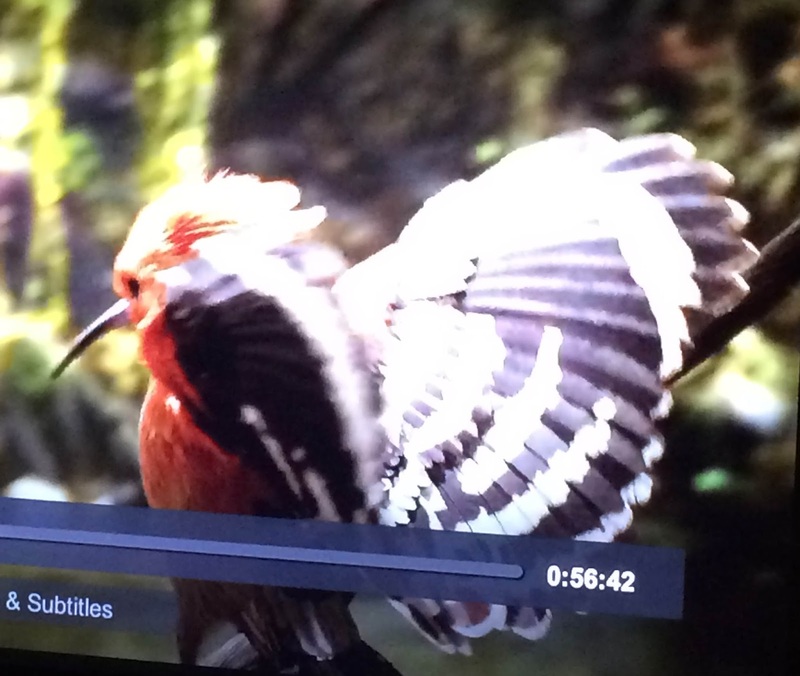 I told you hoopoes are awesome birds. Even the makers of the Jungle Book think so. Here's another photo of him with his wings spread a bit. What a marvelous bird. But wait! There's more. Remember back a post or two when I recommended Grace Errea and that she was a guest at TQS. If you are become a member of TQS, you can learn a lot from hundreds of teachers from around the globe. Well, you can watch all 200 plus shows for FREE starting on the 17th and going through the weekend. TQS is celebrating International Quilting Day and are opening up the classes for everyone! And, there's even more. They are giving away a ton of gifts. Go HERE to enter the contest and get ready to have a weekend of bliss watching as many shows as you can take in! There will be many winners so you might as well get in on the running. And, please don't forget to watch Grace's show first! Click HERE to quickly go to it. Now how cool is that to see the hoopoe in a movie! It is a cool bird!! !